In celebration of the comedic opera (opera can be funny?) 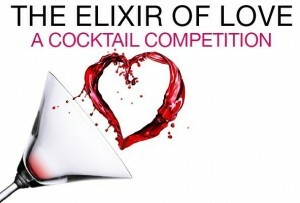 The Elixir of Love, Washington City Paper and Washington National Opera will host eight mixologists at the Embassy of Italy on March 12 for a crazy cocktail competition / excuse to get real drunk. Donizetti’s The Elixir of Love opens March 20 at the Kennedy Center. The plot focuses around an Elixir of Love hawked to main character Nemorino in an attempt to give him an advantage in winning feisty landowner Adina’s heart. The idea is for each mixologist to concoct drinks that interpret the opera’s theme in cocktail form. Best one wins bragging rights and the chance to have their cocktail featured during a VIP intermission hosted by Washington National Opera for the March 25 performance of the show -also, sick Washington National Opera SWAG. 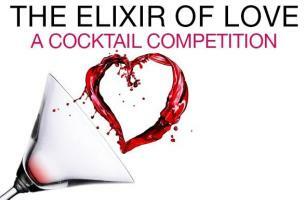 The competition is from 6:30 – 9:00 PM on the 12th, and will feature mixologists from Founding Farmers, Satellite Room, Gibson, Room 11, Osteria Morini, W Washington D.C., and more!